St Patrick's Day - The best day ever. With the winter now a distant memory and a ‘grand auld stretch in the evenings’ we turn are heads to today, March 17th, Patrick’s Day. Is it a wonder that almost everyone claims Irish ancestry of some sort at this time of the year. The anecdotes of the ‘Great Grandmother with 18 kids from Mayo’ or the ‘Great Great Grandfather that came over on the boat’ are trending throughout conversations around the globe right now! What makes us Irish besides the obvious? I mean other than our birthplace and passport what really makes us different from other nationalities. What traits of ‘Irishness’ do we possess, how do we qualify? Is it the blazing red hair that they think we all have over here (10% only – truth be told). Is it the sun kissed freckled complexion? Is it simply our way with words, our tone or the beautiful lilt in our rhythmic voices (well some of us). Could it be our inability to function as Humans in temperatures over 19c – a phenomena that happens only when in Ireland. Being Irish isn’t just one thing, it’s a multitude of ingredients thrown into the Celtic mix resulting in an Irish concoction of a sharp wit, intelligence, a sarcastic edge to our tongue, pride and above all ‘the pursuit of ‘the Craic’ (you must be Irish to understand this). And what a great start to St Patricks weekend that was. There wasn’t a dry eye in any drinking establishment or any household across this emerald Isle. It is probably true to say that anywhere on earth that was frequented by a member of our great nation saw Ireland’s 6 nations victory unfold in the great tradition of mythical Irish folklore. 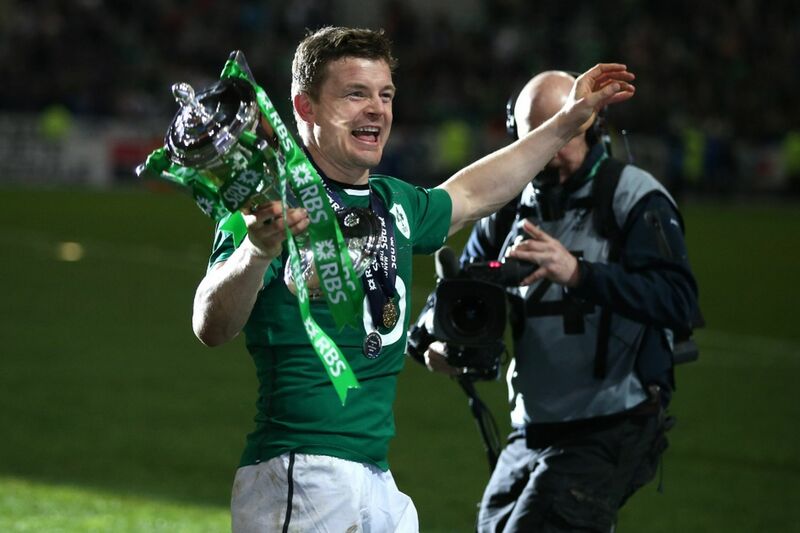 Brian O’ Driscoll, arguably one of Ireland’s greatest sons bowed out on a high. He epitomised the meaning of being Irish. He made rugby cool and dispelled the elitist perceptions that were once associated with this noble sport. Don’t forget, we are actually really good at rugby. O’ Driscoll wore his heart on his sleeve when in the green Jersey and gave us all something to be proud of. When we ask ourselves the question, what it means to be Irish, sometimes its easier not to say anything at all. Its more of a feeling, a state of mind. Its a cultural thing. The way we tap our feet unconditionally to a bit of trad; the way we want England to ‘not do so well’ , even our obsession with the immersion being left on. These things are part of our factory settings, we can always revert back to them at will. When somebody compliments you on the new top you are wearing, you feel compelled to say, ‘Sure that was only a fiver in Pennys’. That’s part of being Irish. The way be thank the ‘Bus driver’ when we get off, that’s part of being Irish. The way we feel we have to reiterate everything we say, “I went to the Pub, so I did, and had meself a pint, so I had”, that’s part of being Irish. Whatever part of the world you are in this Patrick’s day, you just have to remember one thing – You are part of an exclusive club that (for at least today) everyone wants membership. However, if you are not on the list, you probably will get in. You see, us Irish are like that. We welcome everyone, as long as you’re buying. Sláinte.